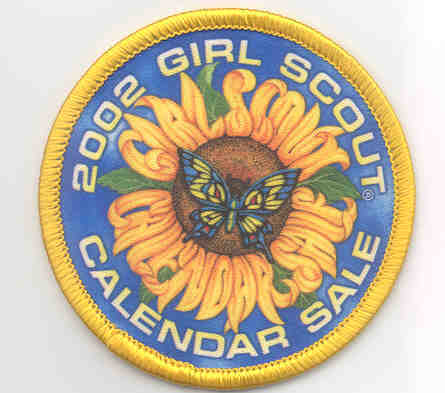 THERE ARE NO CURRENT CALENDARS MADE IN KUWAIT AND AVAILABLE FOR SALE NOR TRADE. PLEASE CHECK WITH YOUR OCC IF YOU ARE INTERESTED IN HELPING REVIVE THIS MONEY EARNING PROJECT OR FOR MORE INFORMATION. 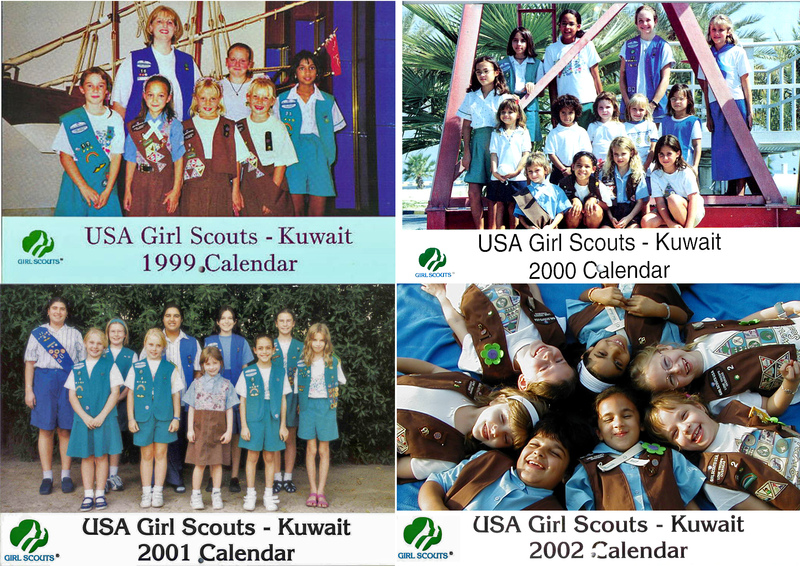 Although the calendars are nice, we do want to tell those of you who are considering trading for one that there are no photos of "grand vistas" in Kuwait, this calendar was designed to show photos of each of the troops. The girls are wearing the same GSUSA uniforms that are worn in the USA, but there are a few girls in some of the photos wearing "hajabs" (Muslim head coverings.) There are a few photos that include a little scenery or a landmark in Kuwait, and one of a troop with a camel, but most are just photos of girls at the school! The print quality is pretty good - they are printed on good, heavy paper. The calendars are set up with the week starting on Saturday, since the weekend is Thursday-Friday here in Kuwait. Arabic numbers are used on the calendar as well as western style numerals. 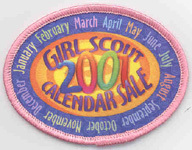 The Muslim holidays and Kuwait national holidays are included as well as the usual ones from the US Girl Scout calendars.